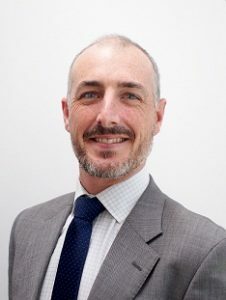 Colin is a consultant solicitor and specialises in the areas of insolvency and reconstruction and commercial litigation. Colin worked as a legal executive in London for a number of years, returning to practice in Australia in 2005. A member of the Australian Restructuring Insolvency and Turnaround Association (ARITA), Colin has a strong background in the insolvency area and acts for secured and unsecured creditors, commercial entities, administrators, liquidators, bankruptcy trustees and other insolvency practitioners across a range of industry sectors, as well as advising individuals, boards and company directors on all aspects of insolvency law. Colin also acts for private and corporate clients involved in a broad range of commercial disputes, particularly in respect of contractual and commercial transactions. Colin engages in ADR and has resolved a number of large and complex commercial disputes for the firm’s clients. Insolvency practitioners in respect of all issues arising out of insolvency arrangements including Corporations and Bankruptcy Act powers and asset recovery actions. Business owners and company officers in relation to their rights, duties and obligations in both insolvency and non-insolvency contexts. Creditors in actions to recover debts or trace assets, as well as strengthening their position through improved trading terms and security interests. Parties seeking to structure businesses and personal arrangements so as to provide legally enforceable asset protection outcomes. Private and corporate clients involved in commercial disputes and litigation.